The requirements for fire extinguishers are detailed in sections 15-16-620 through 15-16-700. The code refers to NFPA 10 for specific governance. 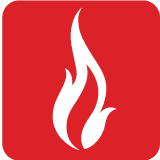 NFPA 10 is a set of standards related to fire extinguishers, published by the National Fire Protection Association, and is generally used as the "rule book" for fire extinguishers in the United States.